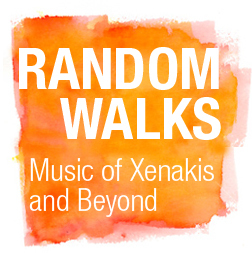 The Fields Institute, together with the Perimeter Institute and the Institute for Quantum Computing in Waterloo present a two-day festival of contemporary string quartet, percussion, and electroacoustic music, together with lectures and discussion on the impact of Xenakis's work. The festival features the JACK Quartet, which has electrified audiences worldwide with "viscerally exciting performances" (New York Times) and "explosive virtuosity" (Boston Globe). Following the concert, a panel of artists and scientists will discuss the use of algorhythmic procedures at the Institute for Quantum Computing. Xenakis' outdoor percussion work Persephassa will be heard in a free afternoon concert at Waterloo Park, performed by TorQ percussion, Aiyun Huang, and Morris Palter. In the evening, the JACK Quartet will cap off the festival in a concert at the Perimeter Institute, in a program of compositions by Hans Abrahamsen, Rob Wannamaker, and John Cage.